How do you do whole group test prep or skill review? How do you make sure each student participates? I use Hold-Ups. 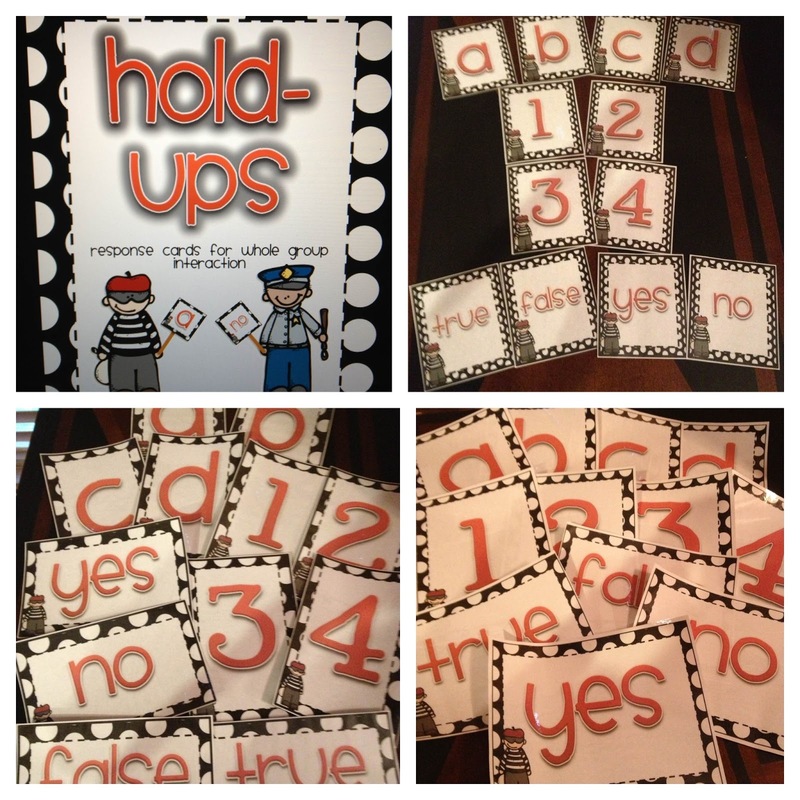 Each student is given a pack of cards that include a,b,c,d 1,2,3,4 yes, no true, false. I ask a question and students hold-up their response. 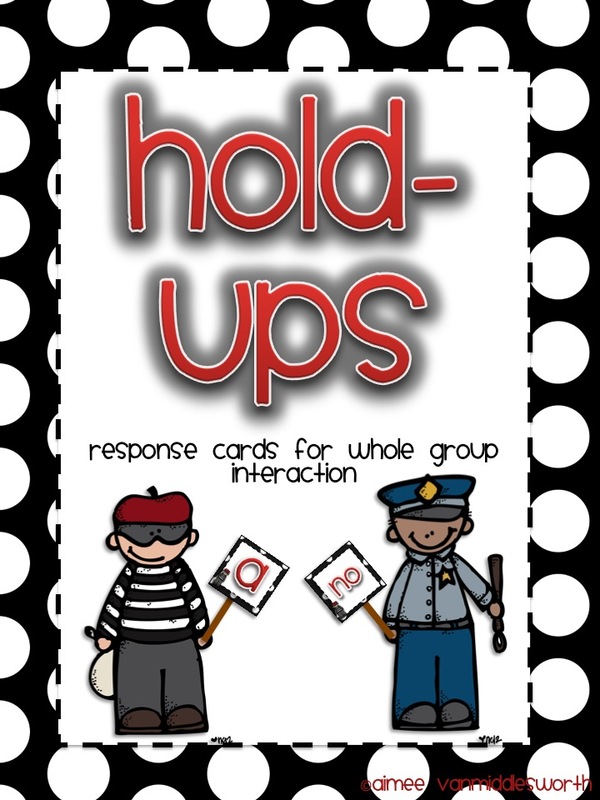 Hold-Ups can also be used in cooperative groups where students have to work collaboratively to come up with an answer or at the guided reading table. You can use them in all subject areas. Students love to review skills this way! In the packet I have included three sizes of cards. 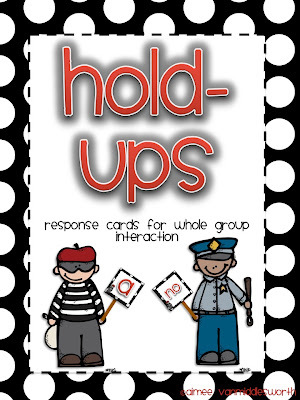 The small cards (3.5x4) can be laminated and tape to a large popsicle type stick. The medium size cards are 4.75x7.25 and the large cards are regular paper size 8.5x11. These two sizes can be laminated for students to hold up. I have it listed in my TpT and TN stores. 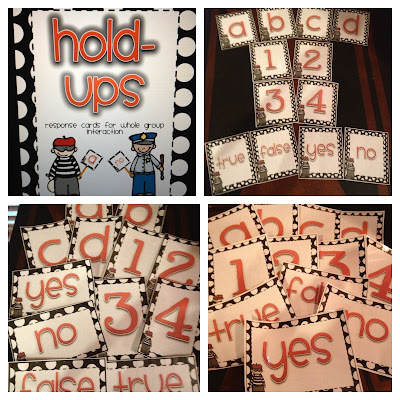 Of course... it's free in my TpT store 15ish minutes! If you do download it, please leave me some feedback and let me know what you think!! Thanks! Also, sweet Moby is doing wonderful! Thanks so much for all the oohs and aahs!! Here's a Moby photo for today. 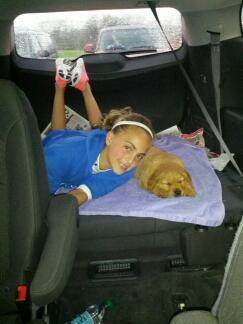 He's resting during the rain delay at my daughter's soccer game!! It's tough work being a puppy!